New to container gardening? Read these tips for starting your first container garden and the easiest plants to grow in containers. Why would you grow plants in containers, instead of planting them straight in the garden? Let’s look at some of the benefits. If you don’t have adequate space for your garden or if you don’t have good soil, then consider container gardening. Getting started with container gardening can seem overwhelming, but it doesn’t need to be complicated. In a nutshell, all you need for a container garden is a selection of plants, a few containers, the proper growing soil, fertilizer, water, and sunny place. Then you’re on your way to the first crop of vegetables or flowers. Growing plants in containers don’t need to take a lot of time. It does though require that you pay attention to your plants almost daily. Choosing the perfect container is an essential step to ensure your plants blossom and flourish. Your plants will need plenty of care because basically, the odds are against them. There is not that much soil for your plants in the container to gain water and nutrients. Your plants might suffer from drying wind, the burning sun, and the freezing cold if they are not well protected. Choose a container according to your own style and taste. Roots of the plants will grow in anything that contains soil. You’re only limited by your own imagination. You can pick ornamental containers, adding to your plant’s charm. Mix containers to suit your impulse. Match them to your decorating style. What is the plant’s mature size? 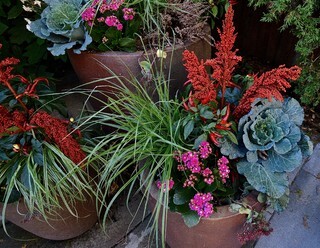 There are lots of advantages to growing plants in pots or containers. For people with limited garden space, growing plants in containers may be the only way to go. But even people with a large backyard should consider it. There’s no weeding, less chance of soil-borne plant diseases and critters are less likely to be able to eat your vegetables. Also, many people just have lousy soil for gardening, and you can buy great soil for pots. Growing plants in containers can be really rewarding, but it can also be challenging. Knowing the basics before you start can give you the best chances for success. Plants in containers can help you make the most of a short amount of space. If you live in a condo, you can’t operate a full garden, just because you don’t have a backyard. I think that one of the best answers for this situation is to grow plants in containers. You can incorporate plants in containers in your living areas. You can arrange them on your patio, windowsill or balcony, or you can hang them. Place containers near windows or seating areas, so that they are best displayed. Place herbs and fragrant flowers near walkways in raised planters, so you can savor their scents as you pass by. Just a few pots, and your living area will look much beautiful. A benefit of small containers is that you can move them around to suit your needs. If you rearrange your furniture, it’s no trouble to move your plants as well. Your plants don’t mind the transition, as long as the lighting is about the same. Containers are portable. Rearrange the design as you wish. Move plants to a protected place during cold weather. Versatility is another benefit of the containers. Build upon the soil you fill it, and where you place it, it can simulate any environment. If you are trying to make an aesthetic arrangement of plants and containers, you can adjust them to be at various heights. You can put them on supports, or hang them from the ceiling. Hanging them allows you to make the most use of the space. 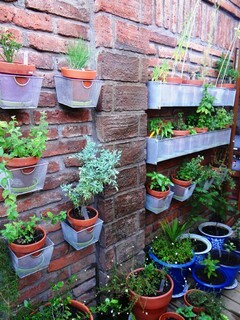 This is called vertical gardening. You can make a charming composition of plants while saving area. If you live in a condo, it is important to save space! You can even use wooden step ladders as a form of vertical gardening. Paint the ladders accordingly, and arrange plants on it in a beautiful, stylish cascade of color. Container plants take slightly more time to maintenance. You have to go around to each individual container, and water them more often. The time spent on taking care and watering is more balanced, since the area for containers is less than an actual garden. It is vital that you don’t over-water your container plants. It can be just as fatal to their health as under-watering. When choosing containers for your plants, a good idea is to buy them all at once along with some extras. These extras because containers might break, or you want to add more weeds later. They don’t need to be the same shape and size, but definitely, the same style might be useful, so that they endorse each other. For inside use plastic containers are the best. They require the least amount of watering. If you want to stick with earthen or clay pots, then pad the inside with plastic. As clay will soak up water, plastic helps it retain water better. When buying pots or containers remember that the size of the pot will ultimately limit the scope of the plant. Make a deliberate choice of pots according to what you wish to grow in them. When you look for the plants on the internet, you should be able to find specs on how much space the roots need. You can use this also as a benefit if you have limited space. You can limit the growth of a large plant by selecting a pot that isn’t large enough to support that growth. You can take care of the needs of unique plants, like placing the sun-loving tomatoes in containers on your south-facing deck, and so on. You can grow plants that aren’t hardy enough in your region. You can overwinter somewhat hardy plants in a shielded spot. Bring tender plants to the warmth of indoors for the winter. Plants usually adapt well to growing in containers. Some plants even do better in containers than they do if they were planted right in the garden. For example, in climates with cooler summers, heat-loving plants like eggplants and peppers succeed in containers, because the container and soil are warmed by the sun. If the benefits of container gardening sound interesting to you, then you should start planning out your container garden. Write down a list of all the plants you want to have, and then check what size containers or pots you should get for them. After that, it’s just a matter of organizing them in a way that makes your home the most pleasant. How To Set Up A Backyard Garden? Garden will need somewhat regular maintenance. If you want to have more time enjoying your garden and less time working over it, you need to know how to set up a low maintenance garden. 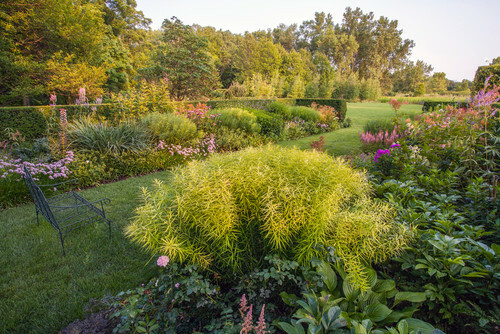 Before you begin your planting, take time researching the location and selecting the plants you will use. A garden is not just an expansion of your house. It is a place to unwind, relax, and soak up nature. Gardening can surely become a passion when you get to pick your own healthy and fresh vegetables and fruits. Think about the nicely shaped garden plot with blooming flowers. Think about spending quiet hours in the midst of the beauty of your garden. That is is what many homeowners yearn for, but actually, don’t have enough time. There are landscaping firms that can take care of your backyard just as well, and save your time. That might be a great option, but be prepared for the added cost. You could end up paying hundreds or even thousands of dollars just to recarpet a lawn. You have to also invest perhaps a little more in maintaining it, depending on the size of your garden area. These ideas will help make your garden easy to keep. It is essential for the rookie horticulturist to pick the right types of plants. It is as important to define the spot for the garden and design it in the backyard. You should find the right methods to take care of your plants, and much more. 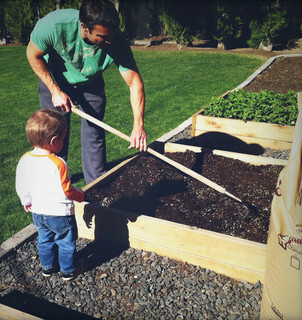 Before setting up your backyard garden, pre-plan each and every step. Then you have a better chance to enjoy it, save some money, and it will be an adventure rather than a burden. The first step is to determine the space that needs to be designated to your backyard garden, and estimate the maintenance needs of your garden. You can set a budget for yourself, and design your garden according to that with a practical approach. If you have a scarcity of time, try and find solutions to issues that need most maintenance. A systematic approach will help you to decide on the right tools that are required for the maintenance and development of your backyard haven. Alternatively, opt for a weekend oasis that needs only little to moderate resources. Also, study the current status and condition of your backyard. In case your yard has existing plants, you need to decide on which plants to keep, and which ones to get rid of. Simplicity is the key to gardening. That way you can take care of your garden with moderate effort. Do not stuff too many plants, or it will lend to a cluttered look. Focus on keeping your garden breathable, rather than cluttered. Besides that, too many plants will just attract too many insects and mosquitoes. But remember, you need to have lots of pollinators for your garden to thrive, so you have to find the right balance in here. The best approach to planning and designing your garden is to draw a rough sketch of the layout and take into account every small detail. If you want that your garden should attract butterflies, then you should opt for flowers that butterflies are drawn to. These plants include aspen, aster, dill, lilac, pansy, milkweed, marigold, clover, and chokecherry among others. The direction of the sunlight is the crucial factor when selecting the right spot for your plot. When looking to your garden as the directions of the compass, north corners or sides are ideal for ferns. Facing south gives consistent sun exposure all day long, and each side gets even warmth from the sun. The garden rows should be arranged north and south, so that the seedlings get the sunbeams during morning and afternoon. If the garden is fronting towards the southeast, it may be subjected to little or moderate sunlight from the west. In this case, rows should run northwest and southeast for an equal sun distribution. Facing to the north is obviously not a very good idea, as it receives only limited sunlight. For directions to north-east and south-west, the plants may be subjected to an uneven distribution of the sunrays. 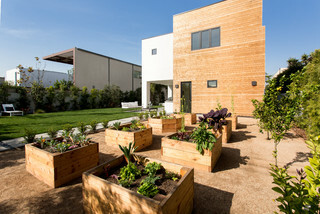 Therefore, the idea is to plan it in a way that the garden plants receive even sunlight for the longest possible time. A new garden place is most likely surfaced either with turf or rubbish. For a larger garden area, the plowing of the ground is done. With smaller gardens, the sod is removed. To remove the sod, first mark out the garden path, as it will help you with a line to be followed. Then cut the edges along the marked line with a garden digging spade. Turn the sod grass over after having excavated holes in your rows. Put the turf in the hole, and then cover it with soil. Identify a place where the sod can be packed together, and leave it to rot. Over a while, you can use it as a fertilizer. The ground where you are planting needs to be topnotch. Then the seeds get nicely packed into the soil particles. Avoid large lumps, because the tiny hair root of the plant will not be able to enter through it. As you can see, a fair amount of research will help you on starting out. So don’t rush. Gather as much gardening tips and tricks as possible. Is Gardening Your Next Hobby? Do you love spending time outdoors? Do you enjoy being in beautiful surroundings? Do you prefer eating healthy foods? If so, make gardening your new hobby. Gardening improves our wellbeing in many ways. It increases our productivity and decreases our anxiety. Whether it’s planting new flowerbeds, nurturing an allotment or just tending to your indoor plants, gardening can have a vital impact for both the mind and body. The health benefits of outdoor gardening range from increased nutrients in your diet to staving off chronic diseases. In the past, I haven’t really done that much gardening. I didn’t think I could participate much because I didn’t have any knowledge of gardening and growing plants and vegetables. The size of your garden doesn’t matter. It’s your gardening skills that will give you the thriving plants. I soon realized that I could definitely do gardening! Lack of knowledge was not a barrier. You can find lots of information from books and online. And its fun to experiment and find practical solutions. I have enjoyed gardening so much that it’s become my new hobby. Simplicity and purity of cultivation are what I love. My obsession with gardening began when I recognized how much it added to the beauty and feeling of my yard. Gardening made my yard and home seem so much cared for. Gardens create a difference in the look and feel of any property. One of the most peaceful and relaxing things I can think nowadays is gardening plants and vegetables. At the end of a stressful workday, there is nothing I’d instead do than spend some time in my garden. Now I’m looking for better ways to grow certain pleasing flowers, and I’m trying to find the best time to plant my vegetables. I began gardening with the purpose of only planting flowers and bushes. After some time I wanted to try to plant my own vegetables. Now we can browse through the vegetable garden and pick the best bits to accompany our meals. If you find yourself interested in gardening, start by talking with a friend who loves to garden. You can also find inspiring books, like Square Foot Gardening, from library or bookstore and learn all you can about gardening. One of the things to avoid when starting out your gardening hobby is to burden yourself to a garden that takes too much time. Start with a small garden. There is much to learn, but it is relatively easy to pick up if you have some extra time and money to devote. As you learn more, you can expand it later. Garden doesn’t need to be huge and hold tons of plants to be productive. Not everyone has the space for a big garden. As long as there’s access to sunlight, you can grow plants in a small area. Gardens can be grown in many places – in a small spot of ground on your backyard or in planting pots outside your front door. The size of your garden doesn’t matter. It’s your gardening skills that will give you the thriving plants. You’ll need to study the plants you want to grow in your plot. Find out what scrubs can be planted near each other and which ones need the most sunlight. Also check and store the care instructions of a plant. Start by looking around your yard. Check which areas get a lot of sunlight. Check also which areas have sun for part of the day., and which are shaded. Also, plants don’t like if they get too much or too little water, so remark which places dry out very fast, and which tend to be damp. Use this knowledge to choose the site of your new garden and get the right kind of plants for that location. Before you purchase the plants, you need to prepare the lot. Loosen the soil with a garden fork or a shovel. Go six to eight inches deep, and add some inches of compost to it. 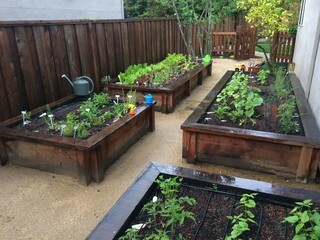 Vegetables, fruits and herbs usually grow best in raised beds. 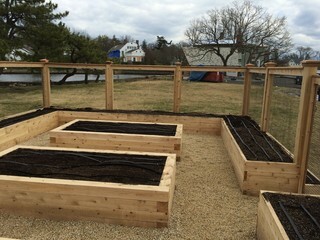 Beds are built up four to six inches above the ground. Most flowers blossom in raised beds, too. Plants never sit in water, as the soil in raised beds dries quickly. You can build a raised bed by adding a lot of organic matter to the soil and fluffing up the ground with a garden fork, then raking soil from the areas that will be paths up onto the beds. Many gardeners nowadays like to surround their raised beds in wooden or plastic frames, others just mound up the soil. Think seriously about making gardening a part of your home and hobbies. It brings beauty, peace, and food all at the same time. Gardening is a joyful and relaxing way to get in touch with nature. A study has found that those who garden are more healthy and less stressed. Plus, they get to eat the delicious vegetables, fruits, and herbs that they grow. What I love about gardening is learning new things all the time and getting to be creative and active in many ways. Seeing the progress in your garden makes you feel like you’ve achieved something really great! It is a very relaxing experience every time I go out to the garden. I don’t ever want to miss a day of gardening. It has been a pure joy to be involved in gardening, and I feel blessed to share my enthusiasm for improving the lives of others. So, grab your gardening tools and get in the dirt! Happy gardening everyone! Looking forward to more fun in 2019! Container gardens are need of the hour. Space is definitely a luxury in our urban lifestyle. Besides space advantage, containers are simple and fun. 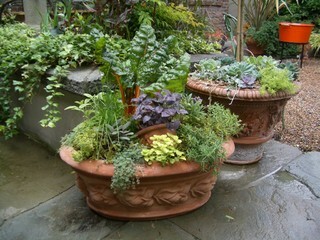 For starters, the container garden plants are placed in pots rather than in the ground. According to current practices, consider having four holes at the bottom of the container. It ensures even and effective drainage. Otherwise the plant doesn’t have access to moisture below the ground. When there are no bottom holes, they dry very quickly. If the container you purchased doesn’t have holes, drill them yourself. Nevertheless, it doesn’t take away the need for consistent watering. Ensure you get potting soil for your plant. Provide pots with toppings throughout the season. Your regular soil doesn’t fulfill drainage requirements. The plants will feel lack of nutrients too. Potting soil provides the environment where the potted plant can thrive. With the right soil and large pot, you can even keep plants that are not native to the land. When you have no access to potting soil, develop homemade compost. Container garden can be ambient too. It doesn’t have to be only purposeful. Follow a three layer formula that helps create ambience. Firstly place the taller plant right in the middle. Use shorter plant types to place around the taller plant. It can be something that fills the pot and visually contrast the taller plant. To just fill things up till the edges, add light color vines at the outer ring. It results in a robust and complete looking container. Consider the light and water requirements of the plant. It varies from species to species. Along with spacing details it is provided in the plant purchase tag. If not, consult with a practicing horticulturist. Place your container in a place, where you will sit and relax. These containers can go outdoors as well as indoors. When placing indoors, ensure they are close to the window and receive adequate sunlight. In the case of outdoors, it’s necessary to protect them from cold and drying winds. While keeping them on top of wooden decks, use saucers or other plastic surface to protect the wood beneath it. You container garden should suit your space. It should reflect your style and go along with the overall ambience. It involves some mix and match of colors, to perfect the visual scene. For instance, green and white gives a subtle classy look. Brighter colors provide for a dynamic setting. You don’t have to totally overlook the practical benefits of container garden. Plant something that you can eat. 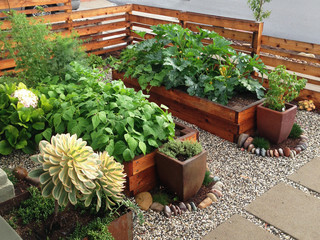 People often plant herbs and vegetables in containers. It allows getting fresh vegetables straight to table. When dealing with vegetable plants, ensure they get at least 6 hours of direct sunlight. South or west facing locations are preferred. There is a preferred type of container for different vegetables. For instance, potatoes grow best in large pots or specifically designed sacs. 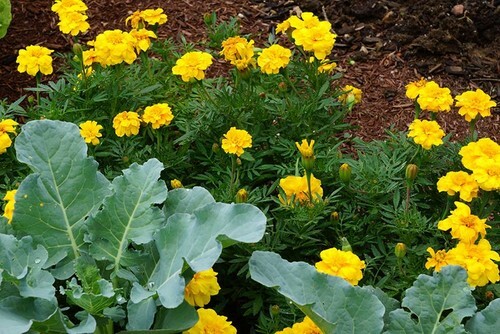 Helen writes about gardening at the comfort of your home or yard. She shares some practical tips on her posts. Having a green top in her terrace, she is the real deal. She knows what she is talking about. Be prepared to get tips that you can execute the same day. Been doing the groundwork for over a decade, none of her tips are too superficial. Readers can safely except to be educated in various aspect of container gardening. Regardless of whether you are an apartment dweller or have acres of land, you will always find useful information in this blog. Copyright © 2019 Pits In Pieces – Designed & Developed by ZThemes.